We provide quality acupuncture treatments on an affordable sliding scale. Acupuncture walk-in appointments are limited. Booking ahead online is strongly encouraged. Feel free to text us 646-979-0708 if you want to get in touch quickly. Spread the word about our practice and fill our chairs: have a great treatment? Post about it on facebook, email a local friend, or tell someone in line at the coffeeshop. 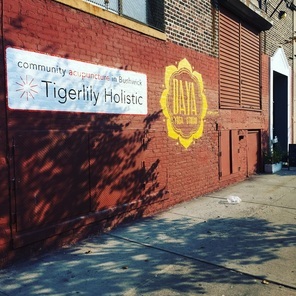 Community acupuncture is all about creating and sustaining connections, and it's a great conversation starter!